UPDATE: Mike Soltis, the Eagle River hiker missing since Monday night has been found dead, said Anchorage police spokesman MJ Thim. Thim was in the process of talking to reporters in more detail about what police know of the circumstances of Soltis' death. Anchorage police also said a man has been mauled by a bear while participating in this search effort. Read our updated story on the developments out of Eagle River here. 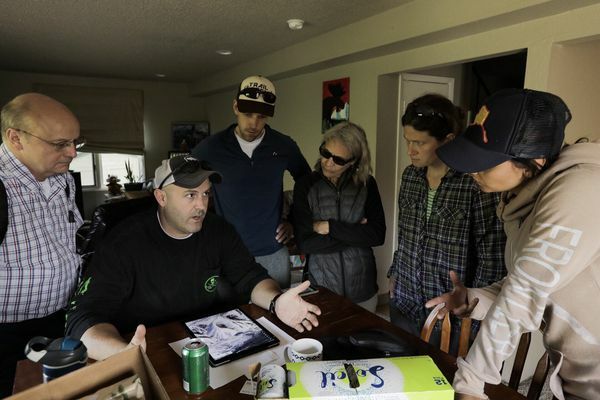 ORIGINAL STORY: Family members and friends spent Tuesday night searching unsuccessfully for an Eagle River man who apparently left for a quick hike Monday afternoon but never returned. Michael Soltis, 44, left his house off Hiland Road and was last seen around 5 p.m. Monday, authorities said. Anchorage police issued an alert late Tuesday. A police spokesman said Wednesday morning that Alaska State Troopers were coordinating a search. But relatives of the missing man said they've been looking for Soltis on their own even though he'd been missing for more than 36 hours as of Wednesday morning. The search so far has been spearheaded by Soltis' large family, which is centered in Chugiak, and friends and neighbors, relatives said. Friends said in a Facebook post that Soltis likely went hiking from his home. "His vehicle is at his house and there is evidence that he was planning on making dinner for himself when he returned," the Facebook notice says. "No one knows for sure which trail he would have gone on." Soltis left chicken defrosting in the sink and didn't even take his wallet with him, his mother said Wednesday morning. Soltis is about 5 foot 10 and weighs about 200 pounds. He works as a civil engineer at Alaska Native Tribal Health Consortium. "He was last seen wearing a gray or black hoody, sweatpants and tennis shoes," police said. "Please contact Anchorage Police Department with any information at 311 [and] reference our case 18-24636." Soltis' fiancee, an officer in the U.S. Army, is stationed out of state, relatives said. 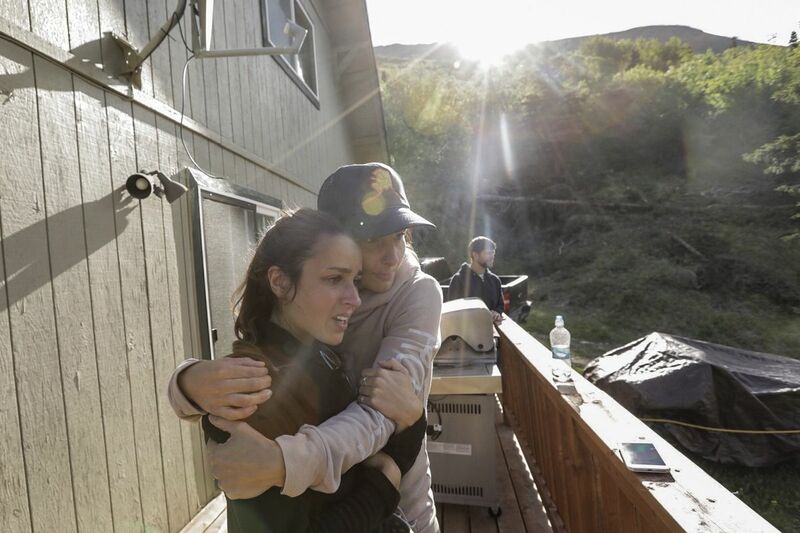 She alerted friends in Alaska on Tuesday afternoon when she didn't hear from Soltis as she usually does. Laura Soltis, sister of the missing man, was frustrated Wednesday with what she described as a lack of response from authorities and said her father hired a private helicopter team to look for her brother. It buzzed over Hiland Road early Wednesday. "We have not had one official person … anyone searching except his own family," Soltis said Wednesday morning. A troopers spokeswoman said a helicopter crew from that agency was launched Wednesday morning but won't be able to search if there's a private helicopter in the area. The troopers helicopter wasn't requested until late Tuesday, spokeswoman Megan Peters said. 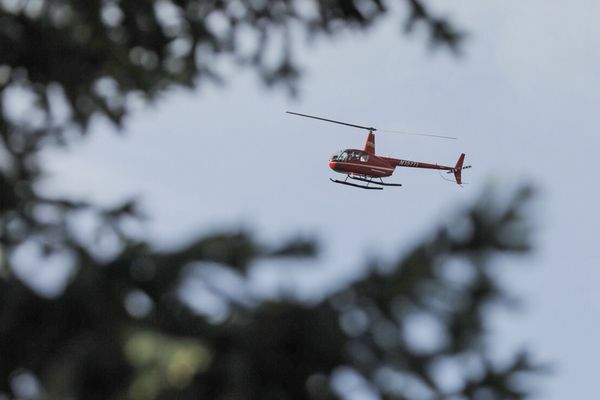 By then, pilots ran out of hours after assisting in an Anchorage police incident and then the rescue of a mother and son who drowned in the Matanuska River at Palmer. "We launched this morning after all the appropriate safety checks … were taken care of," Peters wrote in an email.